1 Mortals make elaborate plans, but God has the last word. then what you’ve planned will take place. I started blogging before I started homeschooling. In those days, I wrote about being busy, organization, planning, and faith. I have to admit, in all my years of writing about organization and planning, I often struggle. It’s not the planner that I use. It’s not my organizing system. I often leave out the most important aspect of planning. So many times I forget to pray about my plans and for help in my organizing. The faith and the organization parts of my life don’t always intersect. That’s a shame. It’s not like the Lord doesn’t care. I know the Lord wants me to have peace and order in my home. I Corinthians 14:33 says “For God is not a God of disorder but of peace…(NIV)” I just don’t pray about it enough. Each day, I plan our meals, our personal schedules, and our homeschool schedules. I try to keep our planners and our home organized. I try to do what God wants me to do, but I’m afraid I fall short many times. Sometimes, the planning and organizing doesn’t bring peace. It actually brings more disorder. It’s not for lack of trying. It’s doing things out of order. Have you ever felt like your planning and organizing is a waste of time? Are you actually creating more chaos? Ask yourself, are these my plans or God’s? Do I know what God wants me to do? Did I consult Him first? Do I know God well enough to know what he wants me to do? Put God first in your planning. Spend time in his word so you know him well. Spend time with him in prayer. Communicate with him. Be still and listen for God to speak to you instead of charging forward. After taking the time to seek the Lord, don’t ignore His counsel. As you pray about various parts of your schedule and your life, ask what he wants you to do. Ask about how much time you should spend in each area. Ask what things in your life you should let go of. Then, act on it. Your kids might be in this really great class across town and it seems like a great fit, but you just don’t have peace about it. 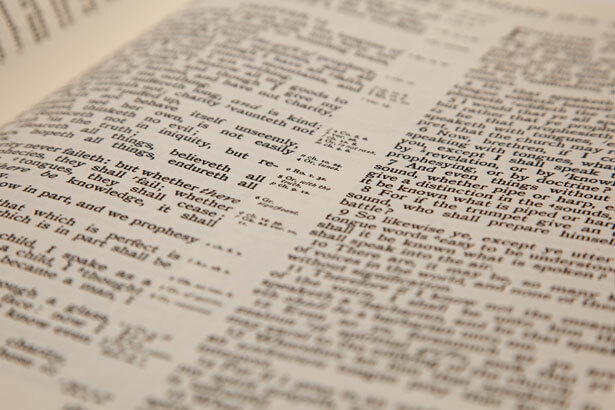 Remember, I Corinthians 14:33 says “For God is not a God of disorder but of peace…(NIV)” Maybe what you are feeling is God telling you that you need to cut that out of the schedule. 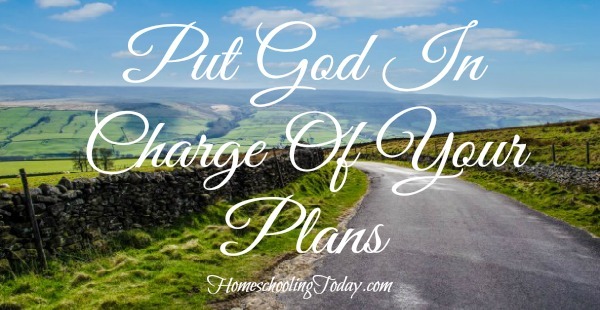 Putting God in charge might be hard at first, but as you get used to giving him the reigns your schedule and your life will become more manageable. I’m praying for you today. Praying that you will put God in charge of every area of your life. Praying that his blessings, peace, and goodness overflow in your life!